Mix flour and cayenne pepper together. 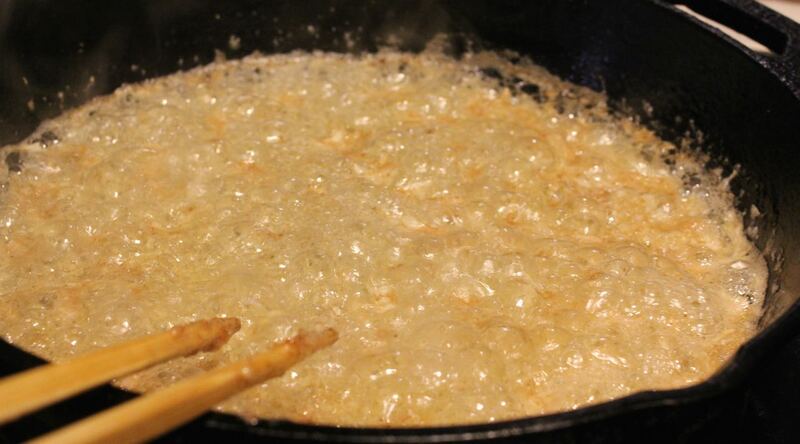 Wait until the pan is hot then cook butter on medium high with garlic. 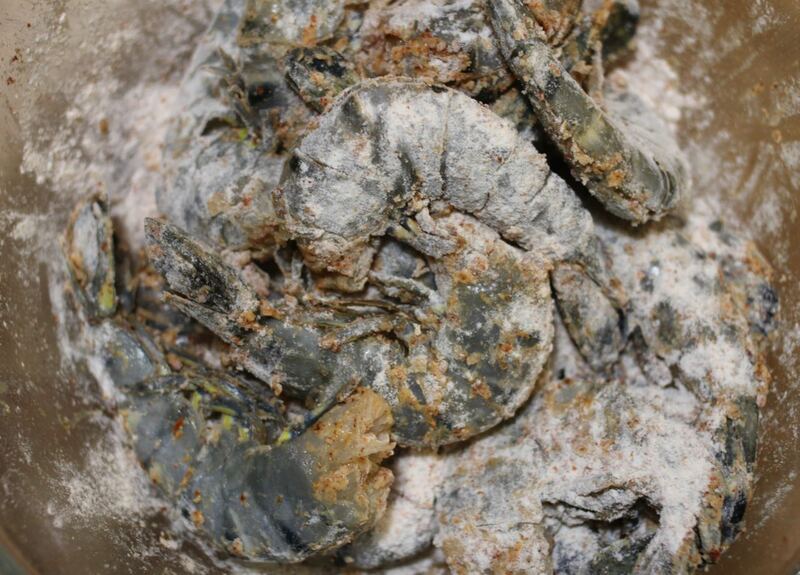 Dip the shrimp in the flour mix and lightly coat the shrimp with the flour. 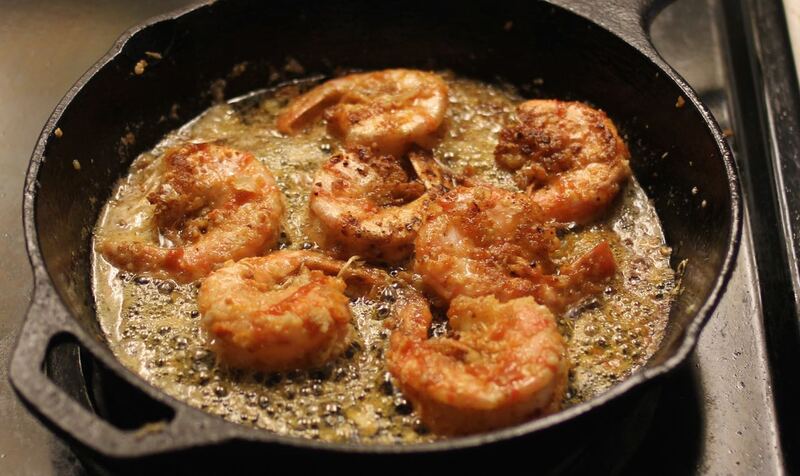 Cook shrimp in the pan one side for 3 minutes, flip the shrimp and cook the other side for 2 minutes. Add the wine towards the last 1 minute. Add Sriracha and salt at last. 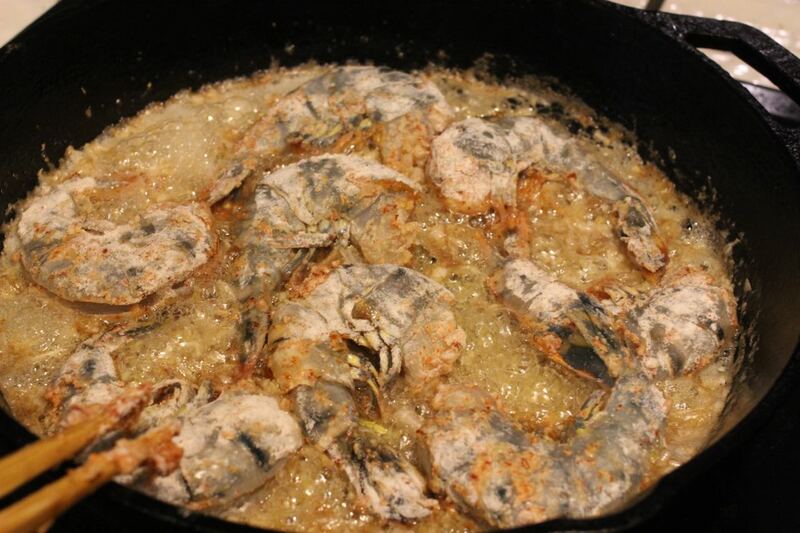 Squeeze some lemon on top of shrimp to finish off. 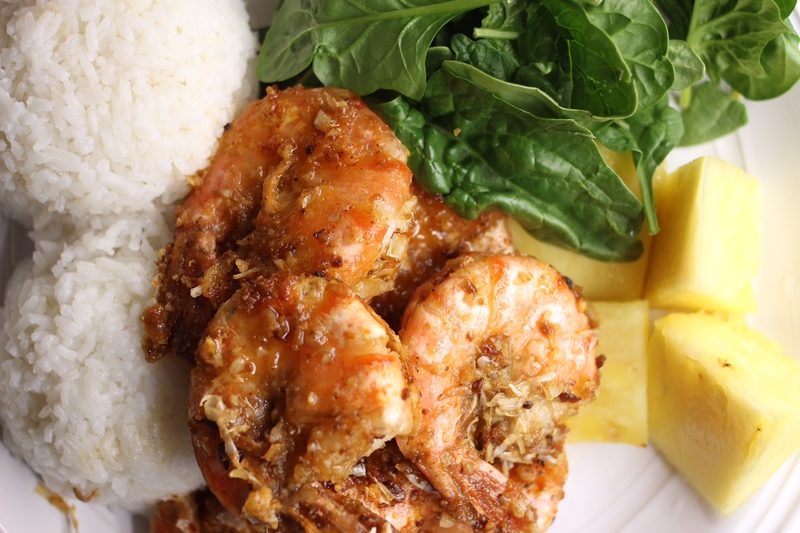 Enjoy with steam rice and fresh cut pineapple! 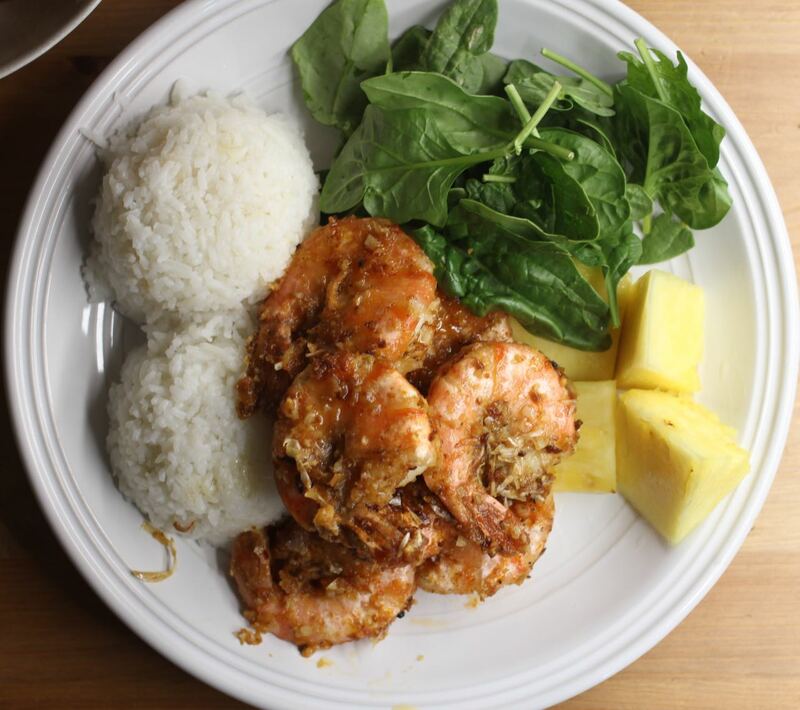 If you like my Hawaiian Garlic Butter Shrimp Recipe (Giovanni/ Macky’s Style) Please share! What an inspiring entry ! 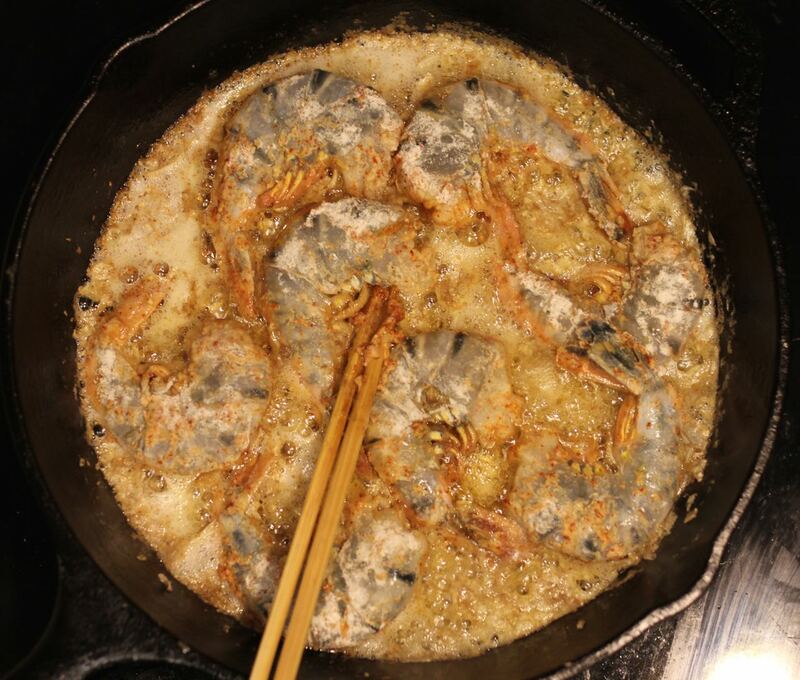 Shrimp is one of my favorite ! How would cast iron pan make a difference btw ? When you have a mobile compatible version?